This is a fun round-up of a face wash, an eye serum, a facial spray, a spot treatment, and a soothing mask. Y'all, this product is SO good. 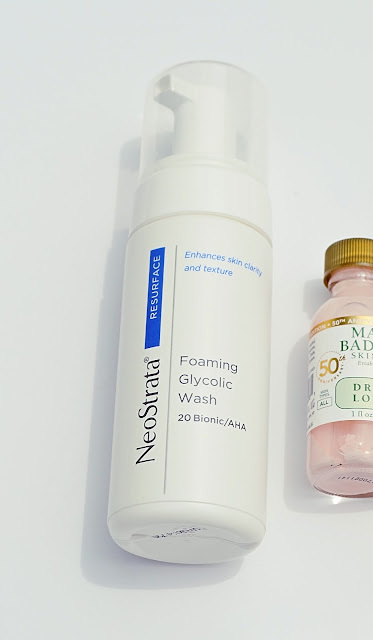 I test out lots of different types of skincare and I'm always nervous about face washes because I'm not sure how my skin is going to take it, but this one had such an awesome affect. You can use it up to twice a day, and while it's a little more pricey ($40) I think it's worth every single penny because of the way my skin reacted to it. In fact, after using it for a couple of days I went back to my old face wash to use it up and had a breakout almost instantly-that says enough for me! I always talk about packaging on the blog-it's important to me how products are presented. While it doesn't have a flashy bottle or anything too fancy, it's very clean and straightforward which I love and the cap makes it very easy to travel with. Overall, I'm a huge fan of this and would totally recommend it if you're looking for a new face wash to smooth out any texture and clear up your skin. First of all, can we talk about how flawless this packaging is? The box it came in was just as impressive and made me so excited to test it out! Now this is a really pricey product, so you have to be committed. But if you look at the photos down below-you can see that although my eyes don't have a lot of wrinkles or sagging, they do have some fine lines and puffiness. I think that it does live up to it's claims, you can feel the product working and instantly see results. I'm getting so real and close up with y'all today-I'm feeling brave! It's really simple to apply (which I love). You just clean your face and pat dry, then spread a thin layer on upper and lower eyelids (be careful not to get in your eyes!). Afterwards you can use powder makeup on top and it looks really great with makeup on top! I won't use this for every day, but I really loved how it felt and will pull it out for special occasions & for days when my eyes are just really tired. When Ulta had their 21 Days of Beauty sale, one day the Mario Badescu products were maybe 50% off or something like that-so I picked up a few things because I had heard the line raved about by other bloggers and you tubers so I wanted to test it out for myself. I love testing out new masks & so I was very excited to get this, especially since I try so many different types of skincare-sometimes it's nice to have something soothing for my skin. I have worn this two or three times and while the smell is kind of off-putting, the mask itself is very nice. I love how gentle and cooling it is on my skin and when I take it off, my skin feels super soft. I'm a sucker for a good facial spray, I've loved the Evian one for a really long time so when I heard about this one and found out that it had rosewater I immediately wanted to test it out. This is so refreshing and soothing on my skin, it makes my face look radiant and hydrated. Plus, the scent is amazing-smells just like roses! If you don't like floral scents & possibly if you have oily skin you may not like this product-but going into summer I feel like I'll get a lot of use out of this product. This is probably the product that I was most excited about testing out because I had been needing/wanting a new spot treatment and I've heard so many people rave about their results from this one. It's really neat looking, basically a two layered product that you don't shake up-you dip a q-tip in an then dab it on your spots and leave it on overnight. The first time I ever tried it I was shocked-overnight it had literally dried up my pimple to where it was almost nonexistent. On more stubborn bumps sometimes it takes two nights, but it diminishes more each night you use it. 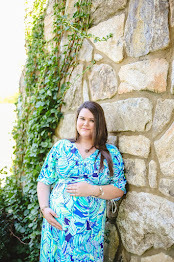 If you're suffering from random pop-ups of bumps, I really recommend keeping this on hand! 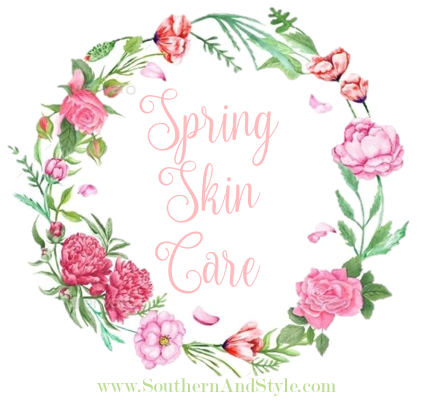 Well y'all, I hope you enjoyed this little review post-I know that I love reading and hearing about new skincare and makeup products so I hope to share more of these kind of posts in the future! I've tried the drying lotion and sadly it just doesn't work for me! I see no difference but I'm going to keep testing it anyway. I want to try the facial spray! I'm definitely in need of a new skincare regime. My skin has been rebelling lately. Bad. I'm really interested in the first one you tried. I may need to look into it! Oh my gosh, that syringe packaging is pretty crazy!! Wild! 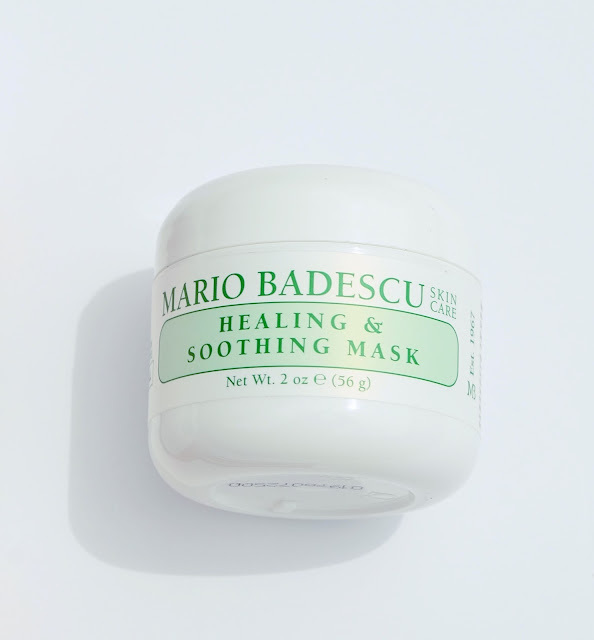 The mario badescu line is definitely worth a try!! 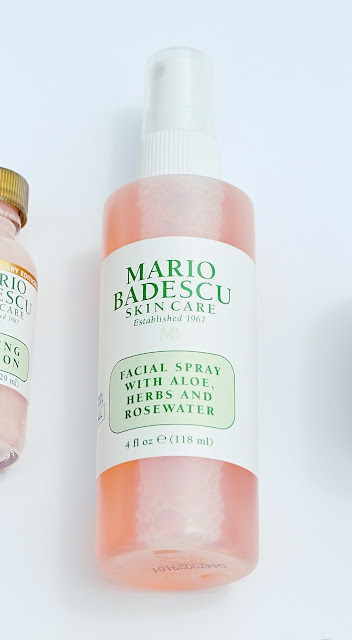 I'm actually so excited that you reviewed Mario Badescu products! I've seen them in Nordstrom and Urban Outfitters but I've been too scared to commit & buy them. My Evian spray is my one true love, so I'm definitely going to have to check out the rosewater spray. Thanks for sharing! I love good skincare! You've come across some really great things here! 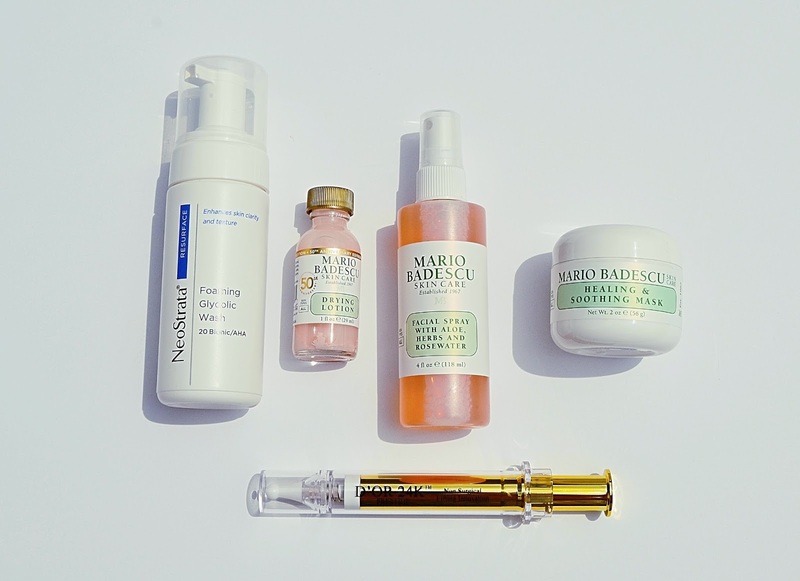 I've not actually tried anything here myself, I've heard amazing things about Mario Badescu products in general, and the eye serum has been featured with glowing reviews almost everywhere I look! :o I think I may have to see if I can get any of these products here in Australia. I heard Mario Badescu products were great! I need that eye serum in my life! I always seem to have circles under my eyes, and no matter what I do they never go away. I really should try it out! 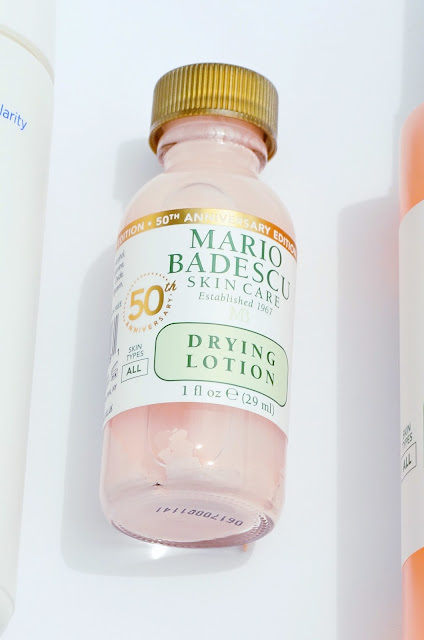 I've been using the Mario Badescu Drying Lotion for a long time and IT IS THE BEST! It can really get rid of any unnecessary pop ups! I really want to try that Mario Badescu face mist! Seems to be a beauty blogger favorite since forever. I've heard so many rave reviews on the Mario Badescu line-- I need to try that drying lotion! Haven't tried any of these but I'll have to pick some up the next time I go to Ulta! Acne and skincare can be so difficult! I've been looking for a rose water facial spray. This one looks promising. I LOVE drying lotion, kate somerville makes one too and they are my secret weapon! So many great products! I am so obsessed with that facial spray and have like 3 different bottles of it right now!